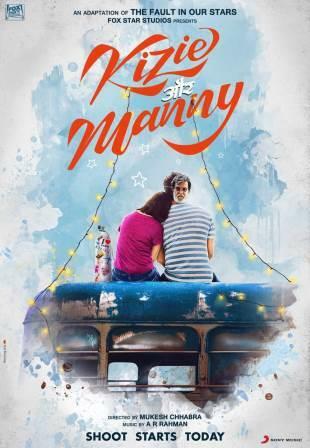 Global music giant Sony Music announced the acquisition of the music of Fox Star Studios' heart-warming film 'Kizie Aur Manny' which is being directed by debutante Mukesh Chabbra. Starring Sushant Singh Rajput and Sanjana Sanghi, the film is an official adaptation of John Green's bestselling novel "The Fault In Our Stars". Adding musical magic to the film with his beautiful compositions and on-point music direction is A R Rahman who shares, "I'm looking forward to working with the talented team at Fox Star Studios and Mukesh Chabbra on Kizie Aur Manny, which is a beautiful story. I have had the pleasure of working with Sony Music on many projects in the past and they have all been great experiences and I'm sure the team will do a great job in presenting the music to fans and music lovers worldwide." Adds on Sanujeet Bhujabal, Marketing Director-Sony Music India, "Kizie Aur Manny is a captivating love story that will enthral audiences in India. Music plays an integral part of the film and A R Rahman promises nothing less than a musical spectacle. We have together created massive hits in the past and are extremely delighted to be working with him again. We are delighted to be partnering with the Fox Star Studios team and we are sure to make this film a memorable one." Adds Shikha Kapur, Chief Marketing Officer - Fox Star Studios, "Kizie aur Manny is an extraordinary story about love, life and hope, and there could be no one better than the genius of AR Rahman to manifest this journey through music. We are excited to collaborate with him and Sony music on this musical journey and are looking forward to creating a magical album in Kizie aur Manny."